The National President of the Association of Nigerian Licensed Customs Agents (ANLCA), Prince Olayiwola Shittu, on Monday swore in Dr Collins Kayode Farinto as the new National Publicity Secretary (NPS) of the Association. The ceremony which took place at the Association’s permanent national secretariat in Lagos, was witnessed by the National Executive Committee (NECOM) members, the Zonal Coordinator (West), Chairmen and other Executive Officers of chapters, Chairmen and Secretaries of National Committees, and of course, members of the press. Also sworn in at the ceremony was the newly-elected chairman of the Lilypond, Ijora, chapter of the association, Mr Olufemi Olabanji. The swearing-in of Dr. Farinto as ANLCA’s new image maker and spokesman followed his victory at the recent bye-elections conducted on April 23, 2015 to fill the vacant post. In his speech at the occasion, Shittu, charged the new NPS to initiate moves to clean up the image of the Association in particular, and the profession in general. He advised Farinto against restricting himself to talking to the Press only, adding that there was much work to do in rebranding the association. According to him, information dissemination to chapters and members should be a priority. He expressed his delight at fact that the new NPS is a pressman, adding that he would build on the existing robust relationship between ANLCA and the Press. Shittu also used the occasion to commend the Press for standing by the Association and making her views and contributions count in government circles and the industry as a whole. Earlier in his speech, Chairman of ANLCA’s electoral body, the Association Electoral Commission (ASECO), Alhaji Abdulazeez Mukaila, said the conduct of the bye-election and the subsequent swearing-in of the elected officer, marked the end of the NECOM elections. Mukaila commended Shittu for not interfering in the activities of the electoral body which he said enabled the Commission to operate independently and also build structures for free, fair and credible elections in the Association at all levels. On his part, the Zonal Coordinator (Western Zone) of ANLCA, Comrade John Alfred Ofobike, expressed joy that the right candidate emerged for the post of National Publicity Secretary. He described Farinto as an experienced and practical man who had contributed a great deal to the growth of ANLCA. According to him, the emergence of Farinto on the National Executive Committee (NECOM) ushered in a new beginning for the Association. In his maiden speech as the National Publicity Secretary of ANILCA, Dr. Kayode Farinto who succeeds Dr. Obicee Okonkwo, who had been in the saddle for about five years, pledged to work hard with other members of NECOM to speed up the rebranding process in ANLCA. He disclosed that workshops and in-house training programmes would be organised for all the Public Relations Officers (PROs) of the chapters to enable them function effectively in their statutory duties. 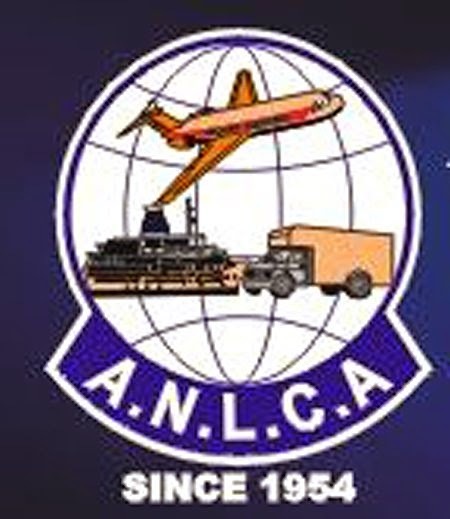 Farinto promised to continue with the cordial working relationship between ANLCA and the press in the interest of the Association and the industry in general.